This blog is written by NCTE member Latrise Johnson. In the predominantly Black high school where I am Professor in Residence and sponsor of the writing club, ELA teachers continue to teach books from the canon like To Kill a Mockingbird, The Scarlet Letter, The Great Gatsby, and Of Mice and Men. And although they are great stories, they do very little when it comes to inspiring the lives of youth of color. Nor do these texts reflect the lived experiences of the students who attend the school. My issue with teaching these texts is not necessarily that they are culturally irrelevant for our students. In fact, I do not propose teaching texts just because they are diverse. Instead, as teachers and teacher educators, our selection of diverse texts must be intentional and must play a role in eradicating racial and social injustice and inequality. Teachers must choose diverse texts with our students in mind. That means not only selecting texts that include diverse characters but also texts that are reflective of students’ rich and complex histories. Our aim should be introducing students to characters and themes that resonate with their lived experiences. We must share texts that will inspire our students. We must also introduce them to authors who can serve as intellectual role models. For teacher educators, we must insist that preservice teachers read, engage, and learn to teach literature beyond the canon—literature that is reflective of the lives of the students they will one day teach. In my own work with Black high school writers, I want my students to see not only themselves in what we are reading, but I want them to recognize their own capacity to be writers and thinkers. What readers get from reading diverse literature are models for how they may share their own lives and ideas with the world. For African American students in particular, it is important that they engage texts that are not just stories of oppression told by White people. They should engage texts where Black writers name and narrate their own experiences like Zora Neale Hurston’s Their Eyes Were Watching God, Alice Walker’s “Everyday Use,” Charles Waddell Chesnutt’s “The Wife of His Youth,” poetry by Langston Hughes and Claude McKay, contemporary writers like Ta-Nehisi Coates and Tayari Jones, and nonfiction texts that center on African American life, love, and intellect. As teachers, teacher educators, and preservice teachers, we must locate spaces (including textual ones) and enact practices that lead to the intellectual growth of our students. Students don’t just need diverse literature because it’s diverse. They need literature that inspires and awakens their potential to be the narrators of their own existence and to imagine a more just world. 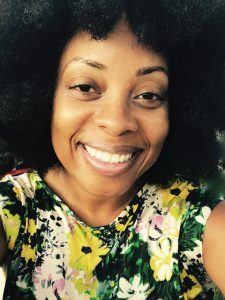 Latrise P. Johnson is currently an Assistant Professor of Secondary English Language Arts (ELA) and Literacy at University of Alabama. She is also Professor in Residence at a Tuscaloosa High School where she works with administration, ELA teachers, preservice teachers, and students. Her work centers on the educational experiences of Black youth and communities and writing instruction. She has been a member of NCTE since 2007 and recently published work in NCTE’s Voices From the Middle.